ALBANY, N.Y. (CNS) -- Albany's Catholic bishop has called on New York Gov. Andrew Cuomo to stop the "Death Star" as he called a bill in the state Legislature to expand current state law on abortion that has the full backing of Cuomo, a Catholic. "Although in your recent State of the State address you cited your Catholic faith and said we should 'stand with Pope Francis,' your advocacy of extreme abortion legislation is completely contrary to the teachings of our pope and our church," said Bishop Edward B. Scharfenberger. "Once truth is separated from fiction and people come to realize the impact of the bill, they will be shocked to their core," he said in an open letter to Cuomo published Jan. 19 at evangelist.org, the website of The Evangelist, Albany's diocesan newspaper. "By that time, however, it may be too late to save the countless lives that will be lost or spare countless women lifelong regret." "The so-called Reproductive Health Act (RHA) will expand abortion under the pretenses of choice and progress, which, in fact, it will do little to enhance," Bishop Scharfenberger said. "At the same time, this legislation threatens to rupture the communion between the Catholic faith and those who support the RHA even while professing to follow the church, something that troubles me greatly as a pastor." The Albany bishop's open letter came two days after a joint statement from all the state's Catholic bishops decrying the abortion measure. 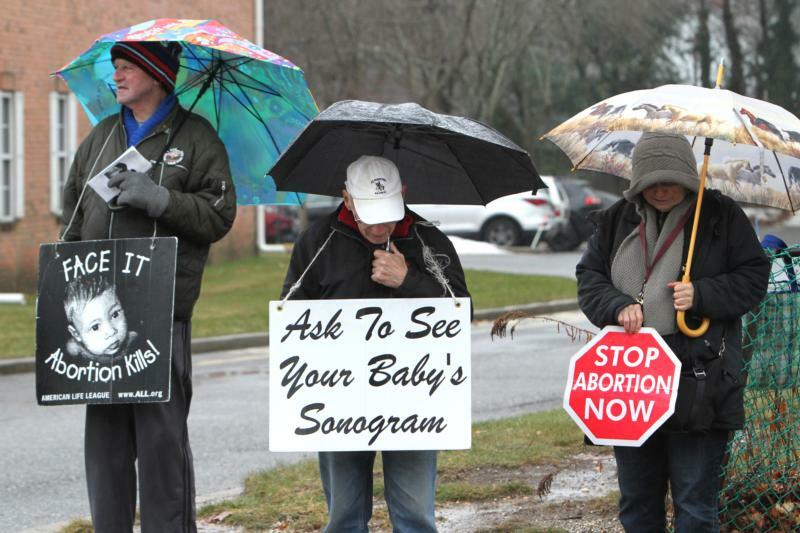 "We mourn the unborn infants who will lose their lives, and the many mothers and fathers who will suffer remorse and heartbreak as a result" of the measure becoming law, the bishops said. They renewed their commitment to provide "the resources and services of our charitable agencies and health services resources" to assist pregnant women in need and support them and their families after the birth. In his letter in The Evangelist, Bishop Scharfenberger wrote that despite what supporters claim, the Reproductive Health Act "goes far beyond Roe v. Wade in its aggressive extremism." -- "Granting nondoctors permission to perform abortions does nothing to advance the security and health of women." -- "Condoning coerced or involuntary abortions by repealing criminal sanctions even in cases where a perpetrator seeks to make his partner 'un-pregnant' through an act of physical violence does not represent any kind of progress in the choice, safety or health of women." -- "Removing protection for an infant accidentally born alive during an abortion is abject cruelty, something most people of conscience would deem inhumane for even a dog or cat." -- "Finally, allowing late-term abortions is nothing less than a license to kill a pre-born child at will." The bishop told Cuomo: "It is very difficult to understand how you can align yourself with Pope Francis and so vehemently advocate such profoundly destructive legislation." Bishop Scharfenberger also expressed the concern being voiced by pro-life leaders in the state, that "if abortion is deemed a fundamental right in New York state," the consequences for the pro-life movement could be dire. "Will being pro-life one day be a hate crime in the state of New York?" he asked. He wondered if under such a law, the state would still be able "to issue licenses to pro-life nurses or physicians," whether health facilities that do not provide abortions "will be certified be certified," and if the law "will allow that even $1 be given to maternity services without offering women the 'choice' of abortion?" "These are unanswered questions, but I shudder to think of the consequences this law will wreak," Bishop Scharfenberger continued. "You have already uttered harsh threats about the welcome you think pro-lifers are not entitled to in our state. Now you are demonstrating that you mean to write your warning into law." First elected governor in 2010, Cuomo was re-elected in 2014 on a campaign that included support for gay rights and women's rights. It was that year he first declared "pro-life conservatives have no place" in New York. He won a third term last November. Bishop Scharfenberger questioned the view that expanding abortion represents progress by moving "a society working to make abortion 'rare' to one that urges women to 'shout your abortion' as some advocates of this bill boldly announce." "How is it progress to ignore the harm that this will do, not only to innocent infants, born and unborn, but to their mothers?" he said. "Does the heartache of so many New York women who have been pained by their abortion decisions matter? Is anyone listening to them? How is it really 'pro-choice' when a law, which claims to guarantee choice, moves to expand only one option for women?" He said young people "know the lies and the despair that proponents of such dangerous and death-dealing legislation are promulgating, even if blindly or unwittingly," especially those "who have seen their sonograms and who follow the discoveries the sciences have made." "Giving up on life is no excuse for us as a responsible and compassionate people," Bishop Scharfenberger said. "In so doing, we evade the challenge of accompanying women and the families they are trying to nurture on the long journey. They deserve our courageous and ongoing support in creating conditions under which they will be free to bear and provide for their children." Society can and must do better, he said, adding that Pope Francis always reminds all people of faith that their mission is "to support the lives of all, especially the voiceless, the most vulnerable and marginalized." He said today's leaders must not "bequeath to our children a culture of death, but together build a more humane society for the lives of all of our fellow citizens." "Mr. Cuomo, do not build this Death Star," Bishop Scharfenberger concluded. Too late, I’m afraid. Cuomo signed this disgusting bill into law yesterday.